Warning: There may be mildly dramatic, potentially overwrought prose below. Caution is advised. Let me start with a confession. They say that it cleanses the soul and soothes the mind to confess to what is done. And upon this moment, I find the need to confess. I need to confess what I did but I also wish to explain it. To explain that I did it for love. I had to step outside of my morals. Outside of my boundaries. 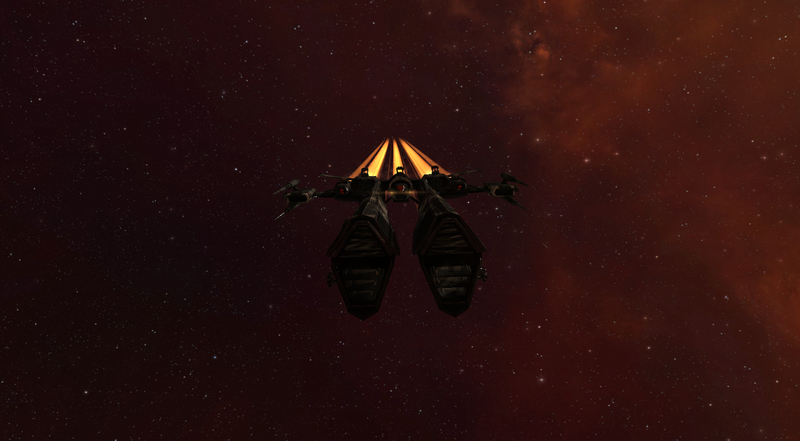 I flew an armor frigate. And not just any armor frigate. For, with Assault Frigate V and three Racial Frigates to V I had a selection spread out before me to challenge even the most vast Emperor's stables. Yet, it was without hesitation that I moved to one singular ship. A ship of significant strength and beauty. I selected Chocolate. My Wolf. And I know that the Wolf and the Jaguar are natural enemies as oil is to water and matter is to anti-matter. Yet, upon the proclamation of the fleet commander I had a singular situation that I was prepared for. I had prepared in the deepest of dark, screened from the taunts and knowing eyes of society. I had selected and built this Wolf in quiet and covered it as if it was my own shame. But this was a hunt where no Jaguar could come. Even as the FC cried, "Undock! Undock! Let us bring fury to the night!" And so did we undock. Our wolves hevey of coat with their cold, glowing red eyes. And our pack burst into the night in a fury of fangs and furry. For the moon was full and our howls washed through the night. Without care or fear I dove into the abyss! And I did land on that field and scream my cry to battle as my autocannons opened up upon the hunkered down from of the Ishkur. Anslo, I am sorry. For, we did not know you were FC. It was the Talwars our blood lust sought when we landed on grid. But they were not there and you were. I know that we spoke after, even as I dined upon the loot of your wreck. I know that it could have been me. Be it known that there was no intent to primary you. It was the song of the turrets and they sang with strength and pride. It was the blind lust of the explosions. It was the fury of battle. And such did we kill the Enyo, and the Merlin, and the Talwar who kited. As our Inquisitor fell to the overwhelming onslaught and my fellow packmate, Robinton was slain for his pelt. And how I howled as he fell even as the battle raged around us. How bloody was that field, full of death and explosions. For others did fall in that wild, fury of violance. And thus the story ends. For Altaen was taken down by a Merlin blob soon after, and our fleet, shattered but strong rallied together to slink back to Molden Heath. It was Robinton who agreed that cutting through high sec would mean a gatecamp. It always means a gatecamp for me these days. And back, nestled into the safe bosem of Molther Molden, I can but reflect on this night. 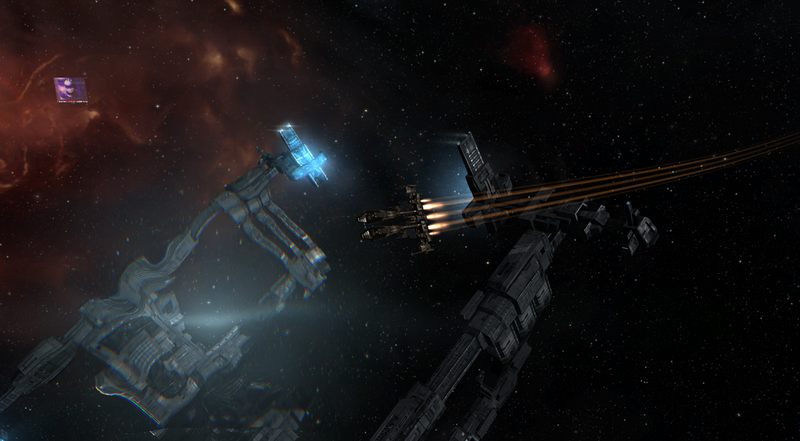 Of carnage, and violence, and armor frigates stalking the night. I’m in no position to grant absolution as it seems an affair to be settled between you and the Jaguar. Have you approached her about it? Is she the jealous type? "in a fury of fangs and fury"
Something's a bit repetitive there. Should that last "fury" been "fur"? Or should we just get you a good thesaurus? It should have been furry and I just corrected it. Thank you. You can get me a thesaurus if you feel I'm repetitive and in need of help finding words. I only wish you could directly link a graphic in a comment. You are welcome to come fly with him still.